Amsterdam may be more associated with the red light district than romance, but that certainly doesn't have to be the case. The bridges and riverfronts, the quaint little cobblestone streets, and its ancient history stretching back hundreds and hundreds of years, all make the city quite romantic. Ride bikes together around the city as a fun daytime activity, and take in the artistic splendor of the Rijksmuseum. Barcelona has something for everyone. Gorgeous weather, combined with a metropolitan city that's located directly on the beach. There's wonderful art, culture, food and nightlife. Visit some of the Antoni Gaudi scenes around the city. A trip to the beautiful Park Guell, overlooking the rest of the city down below, is romance personified. If the two of you really love to party, then consider extending your trip with a ferry to the island of Ibiza. The world's best late night party scene and beach clubs await. If the two of you love exotic destinations and cultural exploration, then visit Chiang Mai, in northern Thailand. The beautiful destination is a world apart from the noise and chaos of Bangkok, offering lush greenery and surroundings, and fantastic, peaceful ancient temples and sites. There are great hotel values too, providing luxe romantic getaways at bargain prices. Consider a daytime trip to the "forest temple", Wat Umong, to get in touch with the spiritual side of nature together. Is anything better or more romantic than a summertime journey to Paris? It is the city of love, after all. While some 700,000 love locks have been removed from the Pont des Arts bridge in Paris, there's plenty of ways to experience lasting romance in the city. Start by taking in the wonders of the Eiffel Tower, and spending a day meandering the surrounding park and neighborhood. 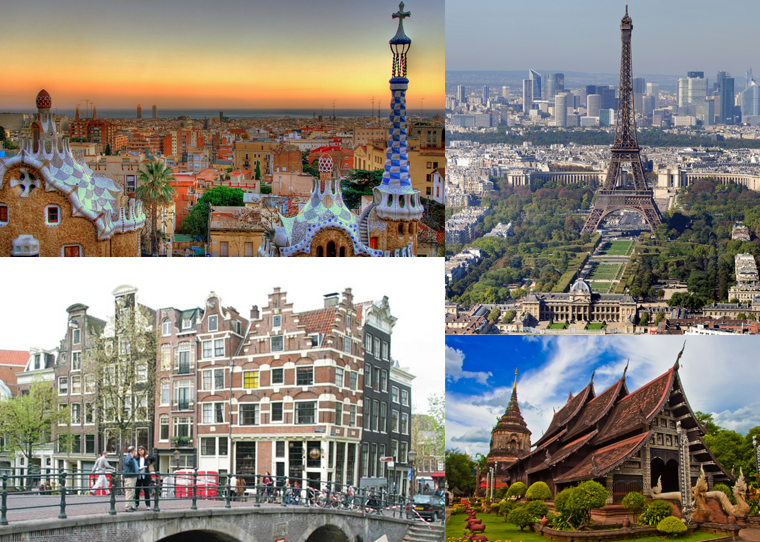 Find the perfect match to bring to one of these amazing romantic locales by signing up with TourBar today.